Nashville, TN ( August 24, 2018) - A family of artists from the Mountain Home Music Company have come together to record and release a special album that sends a message of hope and help. 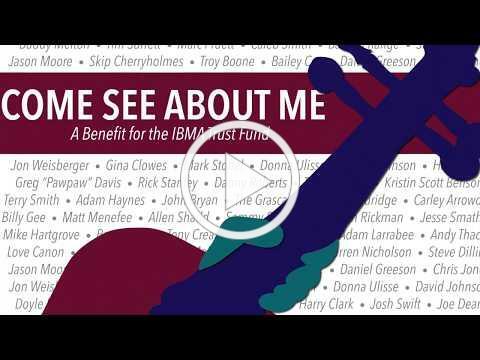 COME SEE ABOUT ME: A Benefit For The IBMA Trust Fund releases Sept. 28th from the award-winning label. The 11-track concept offering, created to generate income for and awareness of the Fund, features Doyle Lawson & Quicksilver, Donna Ulisse, Darin & Brooke Aldridge, The Grascals, Sideline, Lonesome River Band, Balsam Range, Chris Jones & The Night Drivers, Love Canon and other special guests. The collection is available for pre-order now, and fans can catch a three-minute teaser in this YouTube video. Radio programmers can download the first single release, "Come See About Me," from AirPlay Direct and fans can stream it HERE now. To make direct donations to the Fund, click HERE. When Doyle Lawson had the idea to develop this project for the Trust Fund,Mickey Gamble, Mountain Home president, didn't hesitate to say yes. "The effort and resources needed weren't really a consideration," Gamble recalls. "We are a purpose-driven organization." For Lawson, who served as an Executive Producer with Gamble, knowing the end goal kept him focused on the project. While each artist produced their own songs, Lawson says, "We are all in this together, but we all bring something unique to the gathering and that's important to remember." Gamble reflects, "So many folks came together in this effort to make it a reality. They gave of their time and talent freely and without question. These artists proved that the shared value of help is alive and well in our part of the world, and I will be forever grateful for that reminder." Each song was carefully selected to cement the central themes of hope, trust and faith. Firmly grounded in Bluegrass, the album is enhanced with Country, Gospel, Rock and Pop influences that provide for the unexpected. The project kicks off with "Their Hands Made The Music," an apt scene-setter performed by Sideline. Donna Ulisse proves the power of love in the lilting "A Little Trust," while Doyle Lawson & Quicksilver and vocalist Dustin Pyrtle remind us of "All The Good Things We Could Do" if we lend a hand to friends in need. Lonesome River Band (with guest vocalist Brooke Aldridge) slows things down with a breathtaking version of Townes Van Zandt's "If I Needed You," which leads to the up-tempo Balsam Range counterpoint-laden "We're All In This Together." "You've Got A Friend In Me" is an impeccable cover of Randy Newman's classic ode to friendship performed by Love Canon, and Doyle Lawson & Quicksilver return with a Gospel roots song, "We'll Never Walk Alone." Darin & Brooke Aldridge shine on the vignette of broken hearts and pain that is "Those Tears," and Chris Jones & The Night Drivers' "Glimpse Of The Kingdom" carves out a positive message from a song in a minor key. The Grascals, as ever irrepressible, triumph with their interpretation of The Beatles' "Help!" and the title track (and current single), "Come See About Me," closes the collection with an inspired ensemble cry for the weary, the frightened, the discouraged and the lost. From stellar vocal performances to applauded musicianship, the album offers a master class in Bluegrass and the credits (which should be read carefully) are a "Who's Who" of the genre's best. 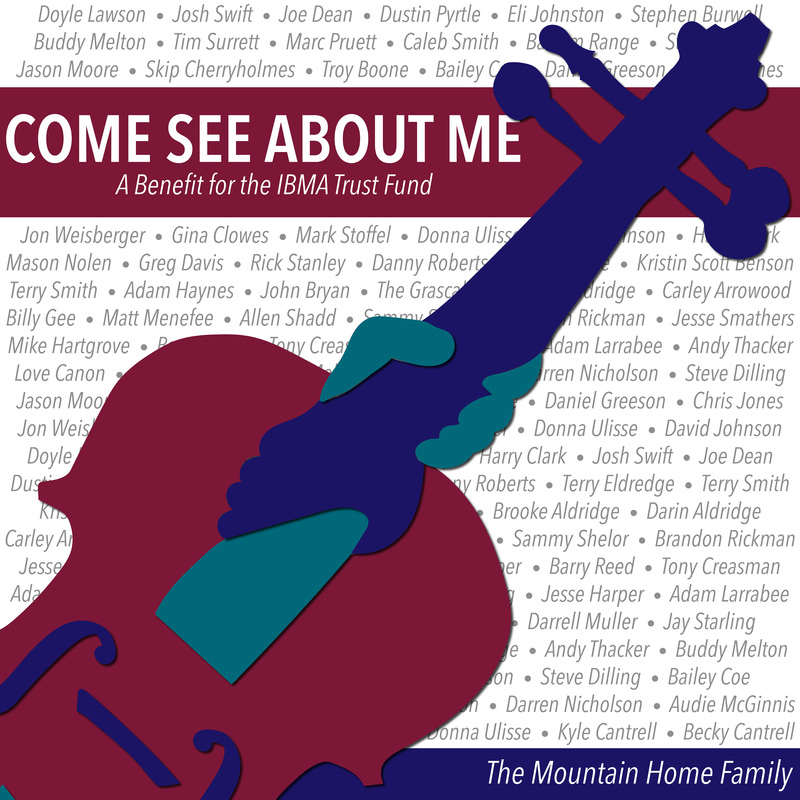 The Mountain Home Family will be performing a set called "The TRUST" at the Red Hat Amphitheater Stage Friday, September 28 at 4 p.m. during the IBMA 2018 World of Bluegrass in Raleigh to celebrate the release of this album and support the cause of the IBMA Trust Fund. Artists performing songs from the album include: Doyle Lawson & Quicksilver, Balsam Range, Lonesome River Band, Chris Jones & The Night Drivers, Donna Ulisse, Sideline and Love Canon.